Traditionally celebrated with a picnic, Hanami (Japanese for “flower viewing”) is a seasonal celebration that sweeps across Japan every Spring. In Okinawa, the cherry blossom has already passed peak bloom—but it’s not too late to catch the Sakura season this year. Head north of Tokyo and you’ll find plenty of places still waiting for the flowers to blossom. 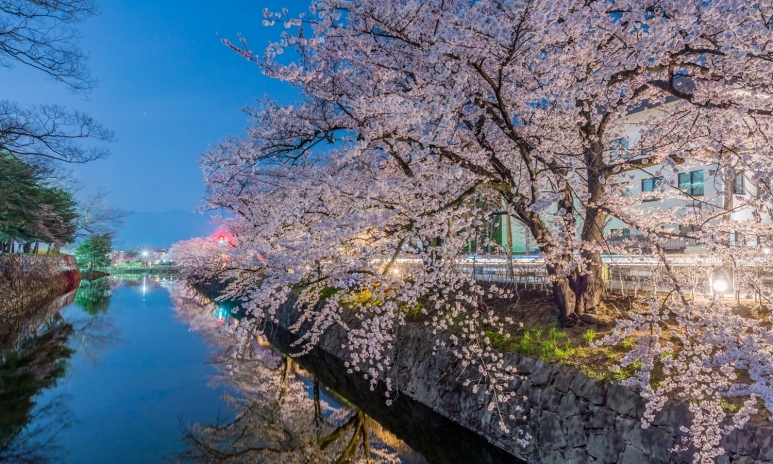 Here are seven stunning destinations where you can still enjoy the cherry blossoms in Japan. Home to one of Japan’s most famous castles, Matsumoto is an excellent place to experience the cherry blossom. The pink blossoms form a striking contrast against the backdrop of the 16th century black castle, so it’s a very popular location, but if you fancy somewhere quieter, the Shinto shrine in Joyama Park is predominantly known only by Japanese tourists. This coastal city is locally known as “The City of Trees”, and is home to a variety of natural wonders, including hot springs, a petrified forest at Tatsunokuchi Gorge, the Futakuchi Gorge waterfall and cliffs, and of course, gorgeous cherry blossoms in the Spring. While Tsutsujigaoka park is a popular location in the city to see the flowers, the 1200-year-old Shiogama Shrine, 30 minutes from the city centre by train, is a more secluded alternative. 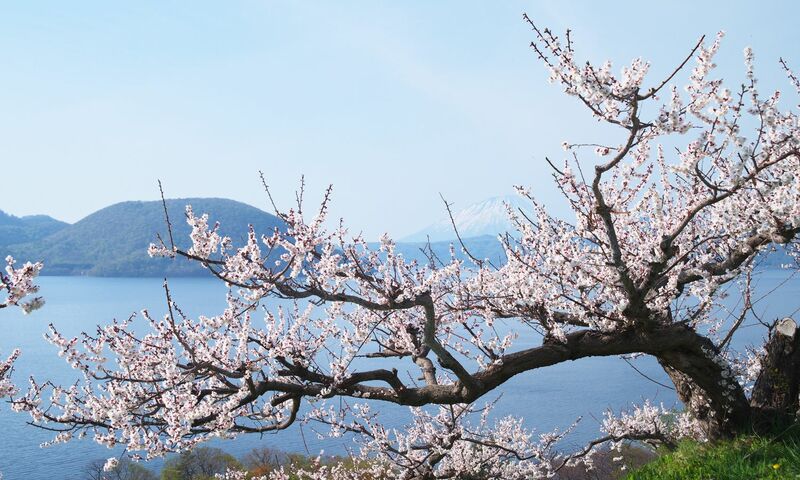 This north-eastern prefecture has an abundance of excellent late-blooming cherry blossom locations that are not as popular with foreign tourists. In Iwate town centre, Takamatsu Park has beautiful lakeside reflections, while Fukusenji Temple in the south is easily accessed by train. Tenshochi park near Kitakami city is one of the largest parks in Japan, with over 10,000 trees lining paths and rivers where boat rides are available day and night. But if you’re visiting alone, consider Koiwai Farm: framed by the snowcapped Mt. 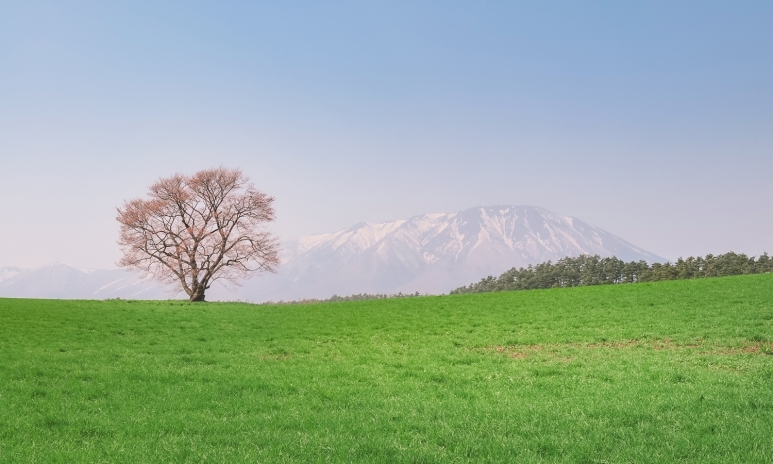 Iwate, one solitary cherry tree stands in a field, making for an exceptionally scenic and unusual site. 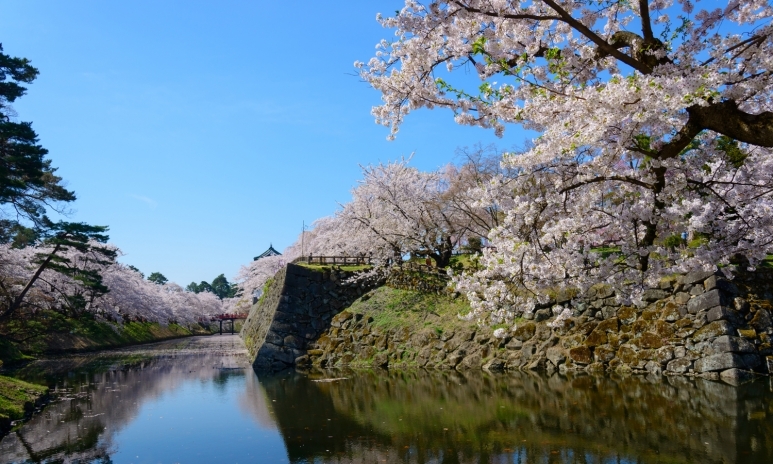 Aomori’s northern location means that it is one of the later-blooming locations in the Sakura season, and Hirosaki Castle is a prime location to see it. One of Japan’s most iconic castles, the 17th century Edo structure is beautifully preserved and a little over an hour from Aomori by train. The grounds are home to the Yoshino cherry tree, which usually only lives around 60 years. Despite this, many of the trees in the castle complex are thriving at over 100 years old, and one particular 135-year-old Yoshino cherry tree is the oldest of its kind in Japan. The former headquarters of the infamously short-lived Ezo Republic (which lasted a whole six months), the incredible Goryōkaku fort in the centre of lively Hakodate city attracts visitors all year round, but particularly during the annual cherry blossom season. The French-inspired Bastion-style fortification is in the shape of a five-point star, which gives the flower-filled fort and park a unique look when viewed from Goryōkaku Tower. If you want to escape the city life and find a more low-key, rural experience, Matsumae is just the place. Home to the only Edo-period castle in Hokkaido, Matsumae has been a prosperous naval and trading town for centuries. 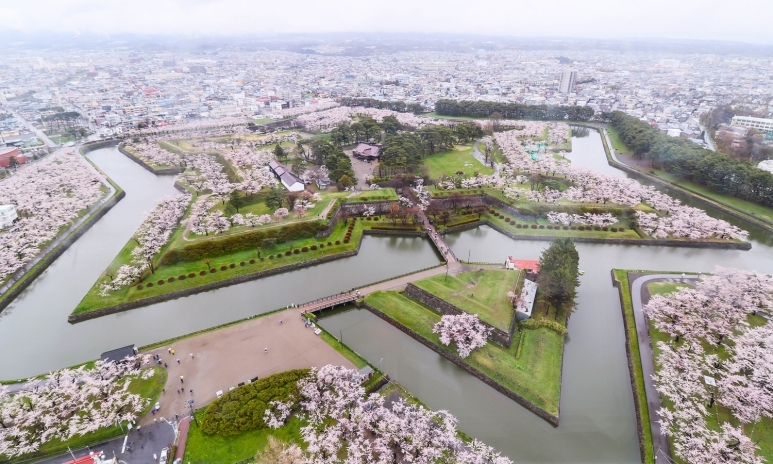 At the southernmost point on Hokkaido island, the 17th century Matsumae Castle is a stunning location to see over 10,000 cherry trees, the largest castle collection in Japan. 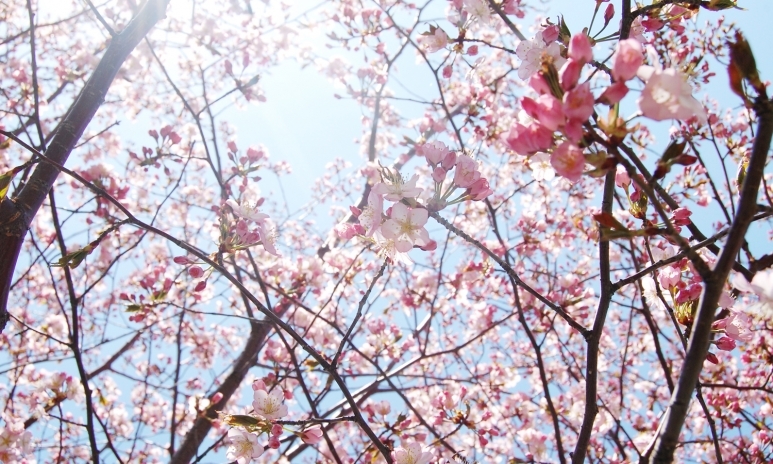 If you’re the type to leave things until the very last second, never fear—Sapporo’s peak Sakura season isn’t until early May, and the gorgeous Nakajima Park is usually in bloom for an entire month because of the huge variety of trees. 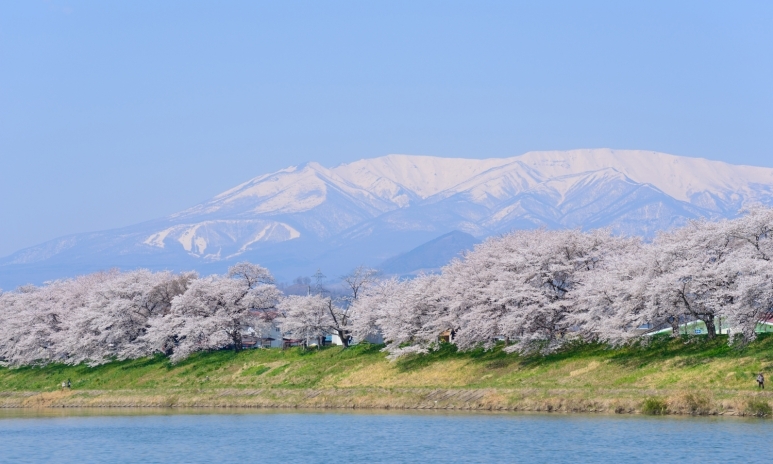 If you want to venture out of the city, the hot-spring town of Noboribetsu features a 2km cherry blossom tunnel and is only a 2-hour drive from Sapporo. Get more tatler_stories like this in your inbox and sign up to our weekly e-newsletter.